Alex Torpiano, lead consultant at aoM Partnership, said Midi's restoration process will return the splendour to the Lazzaretto, which currently lies in a dilapidated state. The Lazzaretto on Manoel Island is the oldest of all the sites that Midi is restoring and, according to Prof. Torpiano, it is probably the most difficult, too. Although commonly referred to as a single edifice, the Lazzaretto is actually a complex of separate but interconnected buildings, varying in age and state of repair. The oldest part is believed to be the 17th century ground floor of the Lazzaretto terrace, the arched elevation rising from the sea - the hospital's most conspicuous and identifiable feature. The main building took on its present form under the grandmasterships of Nicholas Cotoner, Gregorio Carafa and Manoel de Vilhena and would serve as Malta's official quarantine hospital for over 250 years. The Lazzaretto suffered great damage from bombing in WWII and was subsequently vandalised, disused and left to decay. The site has fallen into such disrepair that parts of it are today in imminent danger of total collapse and will be rebuilt. What does Prof. Torpiano foresee as the site's greatest challenges? "First of all, it was badly damaged during the war. Some areas were left in a ruinous state and others were extensively changed during the repair operation. Secondly, the place was subsequently either vandalised, or misused, or simply abandoned to the elements. Thirdly, the place is really vast. The vaults in the northernmost terrace, which is also the oldest terrace, where they survive, are in particularly delicate condition, which means that extra care must be taken to ensure workmen do not get hurt, as well as to ensure that repair interventions are sufficient to recover the required integrity, without being too extensive as to lose too much of the original fabric. "The challenge will be to retain as much of the original as possible and to integrate any strengthening or any replacement as closely as possible to the original without becoming a fake replica. "The arcaded terrace is particularly difficult, first of all because it is in a very perilous state; secondly because it is at the edge of the sea, and therefore it is difficult to erect propping scaffolding with a sufficiently wide base to make it intrinsically stable, and, thirdly, because it is built in one thickness and therefore there is no redundancy in thickness. At the moment it is envisaged that the only safe way of intervening is to dismantle and then re-build - but even this is a difficult and dangerous operation." The restoration will start from the northernmost terrace, that is, the half of the Lazzaretto complex that is closest to Fort Manoel. This is also the oldest part of the complex. Will any areas be demolished and rebuilt or will every effort be made to save as much of the original fabric as possible? "The conditions of the outline permit were that the ground floor spaces of the Lazzaretto complex were either to be retained (after strengthening and repair) if original or reconstructed using the same stone diaphragm arch/slab construction as it was originally (where either missing completely or where the post-war reconstruction consisted of trusses and corrugated sheeting). "The upper floors of two important divisions (as they are referred to in the old plans, namely the old palace and the nunnery) which are also in a condition that is quite close to the original, are also to be retained in their entirety. "In general, the upper floors over the other divisions have been extensively modified and the outline permit allows us to dismantle and rebuild, retaining, however, the original elevations. Yet, we intend to go beyond this and to retain as much of the original upper floors as we identify." How will the restoration on this site differ to that of the other historical monuments Midi is restoring? "To a certain extent, the restoration work will be similar to that previously carried out, in the sense that the intervention methodologies, and the underlying philosophies, are the same. On the other hand, the Lazzaretto is one heritage complex where the selection of an appropriate re-use is even more important than for both Fort Manoel and Fort Tigné. The Lazzaretto volumes are so configured that without an appropriate and feasible re-use, they will go back to abandon. "Very early on, it had been decided to retain the original type and mix of use, namely warehousing - now commercial/retail - in the ground floor level and residential in the upper levels. Since both of these uses have very specific requirements in terms of utility services, public safety, energy efficiency etc., this intervention requires greater thought as to how these 'modern' requirements can be provided, without hiding, or impinging on, the heritage fabric. The Lazzaretto complex has a greater proportion of 'recent' interventions and modifications, which have to be removed and replaced by a modern construction within, and well married to, the external heritage enclosure." 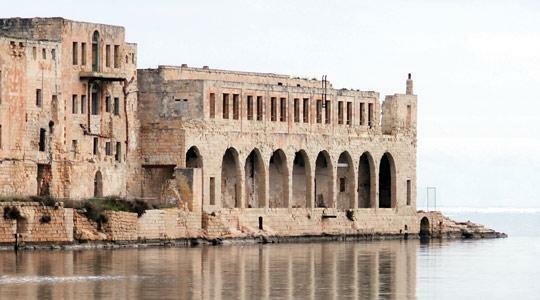 The tender process for Midi plc's restoration works on the Lazzaretto on Manoel Island has begun and, pending Mepa permits, works will start. It is envisaged that all restoration and rehabilitation work will be completed within six years. The Lazaretto restoration forms part of Midi's €30 million refurbishment programme, which will see the revitalisation of some of the most important monuments in the north harbour area.